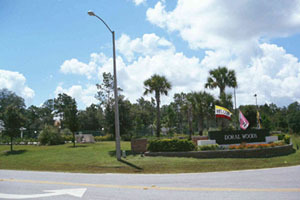 Doral Woods is a beautiful, exclusive development situated just south of Kissimmee. 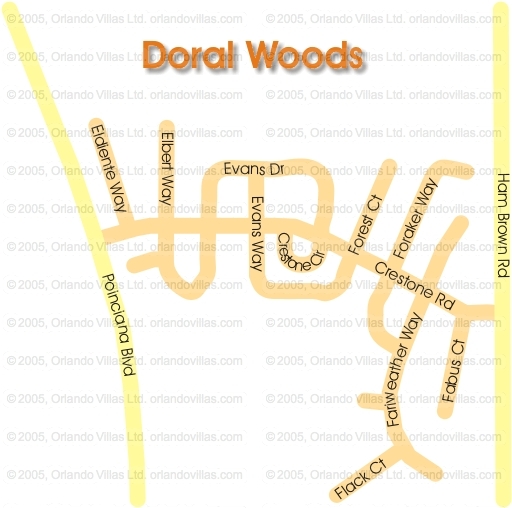 Zoned for no more than 250 homes, Doral Woods is surrounded by green belt areas. The complex itself contains a floodlit tennis court, a sparkling community pool and provides a peaceful setting to add to your recreation, relaxation and peace of mind. Two beautiful nature reserves can be found only minutes away – one is run and maintained by local schools and the other is run by the Disney Corporation and is a fascinating insight into the reclamation of commercialised land back into a natural habitat. Horse World is only a couple of minutes away and offers another way to see the countryside – Western style trail rides are available for the advanced rider and the complete novice. Many nearby lakes offer fishing and there are over 100 golf courses within a 60-minute drive. Conveniently situated only 20 minutes from the main gates of Disney and Orlando International Airport, 60 minutes from Sanford airport and only 10 minutes from the many and varied shops, restaurants and supermarkets in Kissimmee. It is also only around an hour from the miles and miles of beautiful beaches at St. Petersburg or Daytona. horse riding, fishing and golfing facilities.